We knew it was coming. LG has officially announced that it will shut down its plasma production factory by the end of November. Samsung and Panasonic already pulled the plug on their plasma production, leaving LG as the last major TV manufacturer selling plasmas in the U.S. market. On the 28th, LG Electronics announced the termination of its plasma display panel (PDP) TV business as of the 30th of next month. Following Samsung SDI's announcement of withdrawal from PDP business in July, LG Electronics' decision has left China's Changhong to be the only company in the global PDP TV market. LG Electronics held a board meeting on the same day where it resolved on withdrawal from PDP TV business and submitted the related documents to Financial Supervisory Service. As for the reasons of business withdrawal and action plans for the future, LG Electronics specified 'decreasing demand' and 'concentration of competencies on OLED LCD TV' respectively, and thus clarified that its TV production and sales strategies for the future are with organic light-emitting diode (OLED) and LCD. The industry regarded LG Electronics' withdrawal from PDP TV business as a 'scheduled move.' In relation to the company's withdrawal from PDP TV business, President Ha Hyeon-hoe of LG Electronics HE (Home Entertainment) Division spoke publicly in August that it was being discussed, and thus raised publicity on this subject. 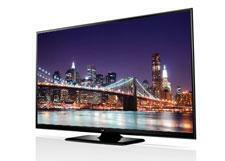 In fact, LG Electronics did not release any new products this year after it had launched two PDP TV models last year. You can read the complete ETNews story here. • LG Electronics exit suggests end is near for plasma TVs at Reuters.com. • Samsung to end plasma TV production this year at CNET.com.